Many people have played in Crysis and remember the Nanosuit from the game. Mod will add exactly this suit. Without of energy, the suit will turn off automatically. So, let's see. 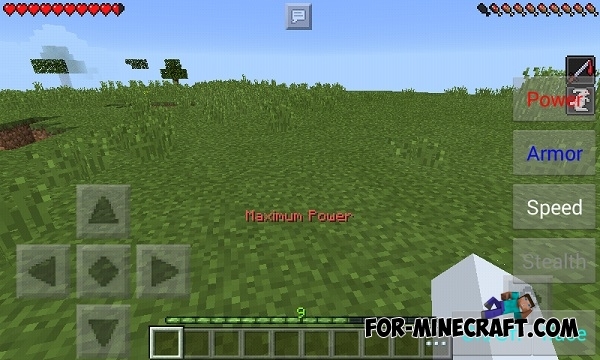 This mod does not add energy scale and the interface of Crysis, it adds 4 buttons: Power, Armor, Speed, and Stealth. Power - increases the force of impact, and jump. Armor - increases damage resistance, ie armor. Speed - increases the speed. Stealth - activate the invisibility. When you go to the game you have the Maximum Armor. When you click on another button will be used its function. Therefore for example you can not be invisible and strong at the same time. 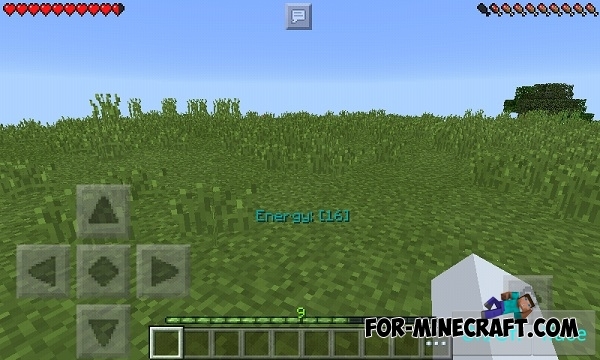 Also mod contains the texture pack but no texture of blocks.